Players enjoying PlayerUnknown’s Battlegrounds on the PC this weekend have been able to test out the upcoming 1.0 release on PUBG‘s test server. The long awaited update is set to release on December 20, and brings with it the much needed change of scenery. Other improvements are the oft-delayed vaulting mechanic and massive UI changes to help facilitate what seems to be a controller, which makes a little sense given the release on Xbox coming up on December 12. However, not everything is as sunny as the new map, as the new update brings with it a few issues that would need ironed out. The set piece feature of the 1.0 update is the desert map, and it does not disappoint. It’s a map with few spots to use foliage to your advantage, rather you must keep in mind the terrain and all its hills and valleys, using those to your advantage. Gone are the days where you can just lay on the ground with the grass to cover you; now doing so would leave you completely exposed. However, the new building layouts also provide such a great change of pace versus the original map, specifically the churches themselves, and offer such a great amount of character to the desert map that it’s been a joy to explore the various cities and settlements. 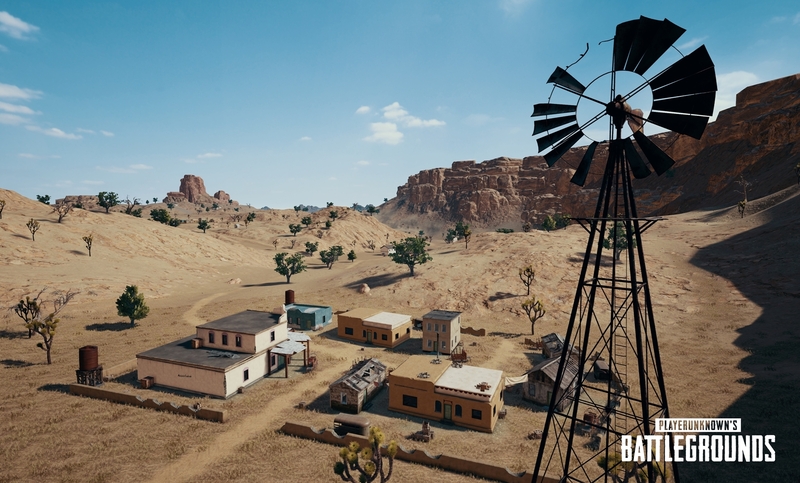 The problem is that even with the desert map and vaulting, which on its own offers an entirely new element to the gameplay, the update doesn’t do enough to address issues with optimization that has plagued the game throughout its period of early access. Framerates are still wildly erratic with the game being unable to hit a stable 60 frames per second at 1440p even on a GTX 1080; a problem for a game due out of early access in a week. Additionally, PUBG suffers even more pop in, sometimes happening right in front of your view, which is incredibly distracting. This type of pop in didn’t really occur before, and it coincides with other major graphical oddities that seem to have cropped up with the update on the PUBG test server. Textures seem to be swapping out as you get near them, an issue that you don’t normally see on PC but is common place on the lesser powered current-gen consoles. Additionally, while the desert map does look nice, PUBG as a whole still uses some pretty poor textures and assets, something you wouldn’t expect too much from a game using the Unreal 4 Engine. PUBG also makes some changes to weapons many may not enjoy. You can no longer use zeroing on certain weapons, such as the M16 or the AKM, but now you can on the VSS rifle. It makes lining up shots more difficult when you can no longer rely on zeroing to help hone in your range on those rifles. The Win94 rifle is a great addition and lends itself well to the wild-west theme PUBG is going for with the desert map, and the new Sawed-Off Shotgun gives carrying a sidearm purpose now. The new PUBG UI is nice; it is much cleaner than it had been and is a great welcome to the new update, though even there are slight quality-of-life issues. You can no longer press “escape” to quit the game; instead, you are forced to go into the menu and quit from there. Nothing major, just seems odd that it would be missing when it was there already. PlayerUnknown’s Battlegrounds has some work to do still leading into its December 20 release, and hopefully the feedback that the team at PUBG Corp is getting will help iron out those issues before 1.0 officially hits PCs. 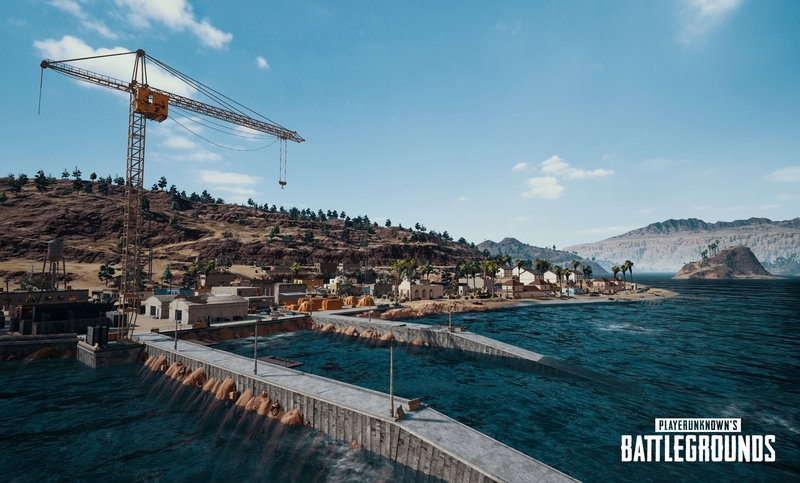 PUBG‘s desert map is an infusion of fresh air into the game, but the problems that have persisted leading up to this launch still leave a lot of work to do for the developers.